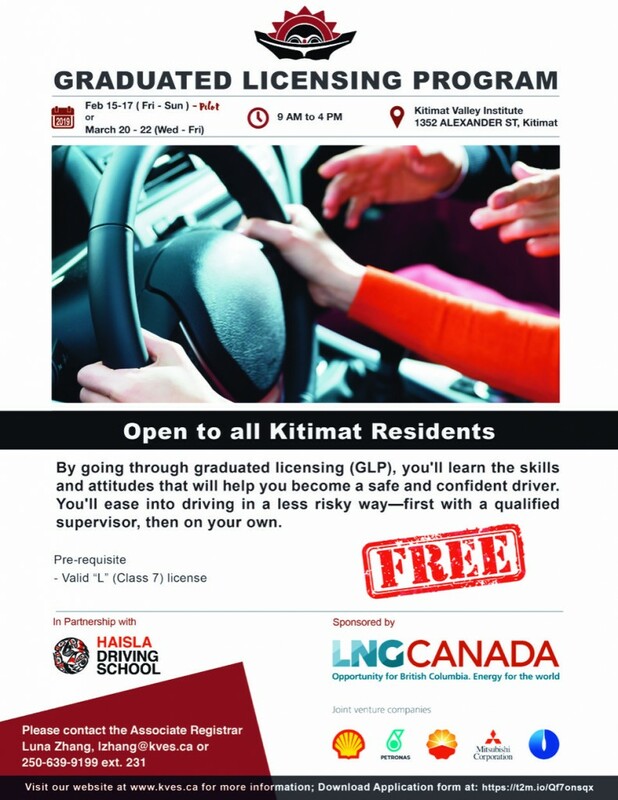 Graduated Licensing Program being offered for free, at KVI with Haisla Driving School, sponsored by LNG Canada. Call Luna Zhang to register at lzhang@kves.ca or call 250-639-9199 ext. 231.